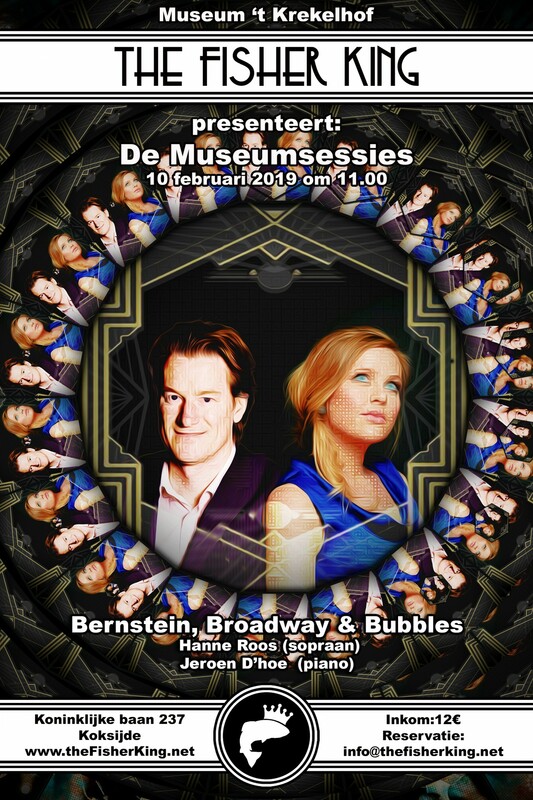 For our first "matinée" Hanne Roos and Jeroen D’hoe dive into the wonderfull Broadway-songbook of Leonard Bernstein bringing you back to sparkling New York of the last century De American wonderboy Bernstein would have had his 100th birthday this year! With his unique crossover of musical, opera and jazz he lifted the Broadway-musical to an unknown level. Besides welknown parts of West Side Story, Peter Pan and Candide the duo also brings songs of componers as Marc Blizstein and Cole Porter who inspired a young Bernstein .